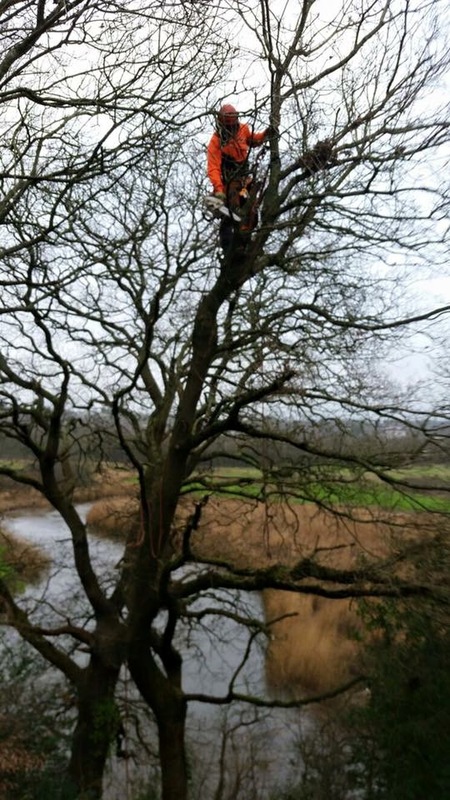 Tree surgery is highly skilled – health and safety is paramount. For all tree work you will need a qualified tree surgeon. You may also require permission from your local authority, if the trees have a tpo (tree preservation order) We can provide you with advice and information on all aspects of tree surgery where necessary. Contact Cardiff tree surgery, for a free estimate. The team are fully trained and insured skilled arborists, in addition to tree felling we also specialise in tree stump removal, grinding and chipper hire. Reduction in the length of branches specified in meters applying to both the height and width of the canopy reducing the overall size of the tree, whilst retaining an aesthetically pleasing shape. Removing selected branches throughout the canopy area to reduce the overall density of the trees crown area. The aim of works is to increase dappled sunlight through the canopy of the tree. Crown lifting is the selective removal of the lower branches of a trees crown to increase the distance between the base of the canopy and ground level. This type of pruning should, if possible be carried out before a tree reaches maturity in order to avoid large wounds. This allows more light through and can prevent obstruction. This can be done with the use of a platform if the tree is too dangerous to climb. Lowering techniques are often used to dismantle the tree branch by branch.